Beautify any client’s bathroom with the wholesale remodeling products available at ProSource® of Evansville. Our team of talented bathroom designers can help trade pros find the right product for their client’s bathroom remodeling project. Visit our showroom today to find new inspirations and materials! Your clients love to freshen up at their bathroom sink, so freshen up their entire bathroom with a new sink from ProSource. 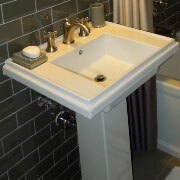 We offer beautiful sinks made from materials like marble, metal, and porcelain in an array of sizes and shapes. Stop by our showroom to find the perfect sink. To brighten up your client’s bathroom, offer them a beautiful new sink faucet. Much more than just a simple spout and handles, a faucet can tie the aesthetic of the bathroom together. 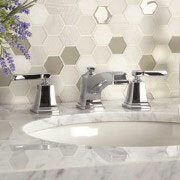 ProSource has faucets in a variety of finishes and styles. Transform your client’s blase shower with the beautiful shower remodeling products in our showroom. With new doors, handles, heads, and other accessories from ProSource, you can provide your clients a brilliant new shower space. 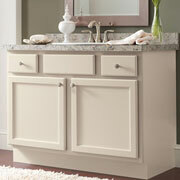 A new vanity from ProSource makes a stunning addition to any bathroom remodeling project. Trade pros can offer their clients a convenient way to mount their new sink and faucet, as well as improved storage space with a vanity. Whether your client wants a luxurious jacuzzi or a simple stand-up style tub, you’ll find the perfect match at ProSource. 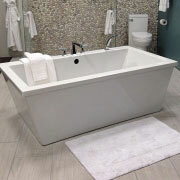 We have bathtubs that fit any size bathroom and any decor or style made from materials like marble, porcelain, and fiberglass. 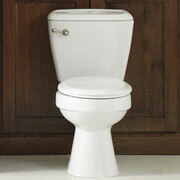 A new toilet is the final step in finishing a complete bathroom remodeling project. It’s time to retire your client’s leaky toilet with the loose handle. Instead, grace their space with a beautiful new energy efficient model that will save your client water and money.